If there’s one thing you will find in a man’s pocket other than this cellphone, it would most likely be a multipurpose wallet that keeps everything he can possibly ever need. However, these days, getting just any other kind of wallet is a major no-no especially among guys who would like to adapt to the current trends of fashion. This is why checking out this list of cool wallets for men will not only help you get an idea on which wallets to get but would also help you decide on which wallets work for your style. Remember, there’s really no need to get each of the 10 styles and designs below. Rather, it would be much better if you are to get just one or two that you like most and use it until it wears out. 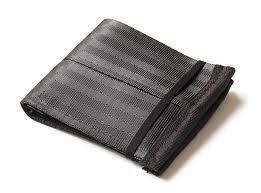 That’s also another thing about wallets, if you use them well, they will more likely last you a lifetime. Who says wallets always need to be traditional? Of course not! If you can sum up the courage to just organize your money by using this cute and absolutely unique batman wallet clip, chances are you wouldn’t be faced with any other problem at all. 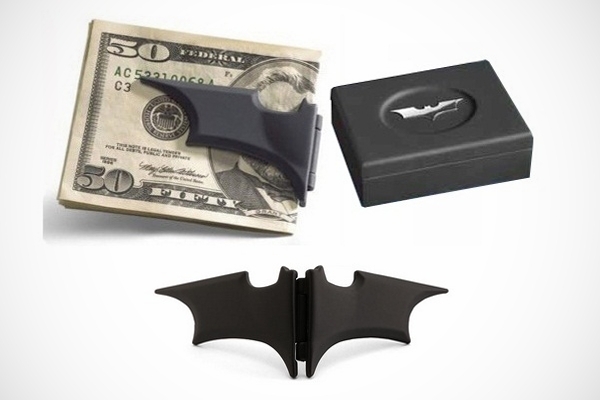 Other than this, this Batman wallet clip is handy and does not bulge in your pocket. Make sure though that you count the money that you have to make sure that it does not fall out of the clip. 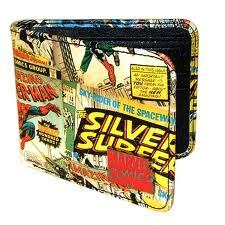 Guys, unlike girls do not necessarily require having the biggest and thickest wallet they can ever have. This is because a lot of guys are content with having a simple and slim leather wallet that can hold their money, license and credit cards. If you want something truly functional and if you are thinking of ways to make sure that your jeans and khakis look decent, go for this kind of wallet now! 8. 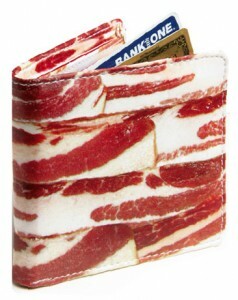 Bacon Wallet, Say What? If on the other hand you are looking for something that’s not only casual but also totally out of this world for a wallet, why not get the bacon wallet that looks absolutely delicious. If you are having a hard time thinking about it, simply consider the fact that this wallet also has several compartments as in traditional wallets. The only difference is that this one in particular has a totally out of this world design. 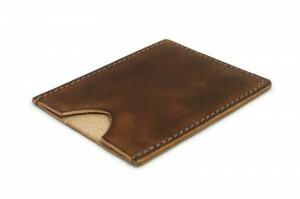 A rogue type of wallet is nice and unique because it is shaped non-traditionally. However, it still serves the same purpose of keeping money and cards organized. This kind of wallet comes with a rogue kind of shape and a half dome shape that is easy to keep in the pocket and use for all types of occasions. This one also comes in a number of different colors like brown, beige, black and navy blue. 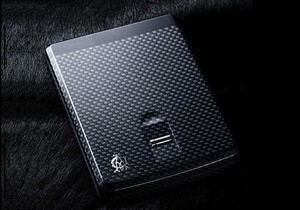 Are you looking for a technologically advanced wallet that only recognizes your fingerprints? If yes, then this biometric wallet is the right one for you. This one makes it possible for you to only open and access whatever is inside the wallet if it recognizes your fingers. Otherwise, it won’t open at all. This is a safe option especially if you can’t find your wallet and feel that someone must have taken it. Note though that this option for wallet is a little bit more pricey than the rest. But it should be worth it of course. Who says you cannot add a little humor to your wallet? 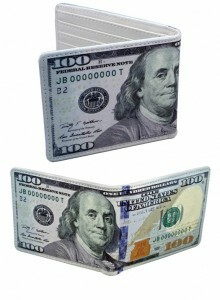 Of course you can with this dollar-inspired wallet design that comes with a $100 print on it. This kind of wallet is truly nice because it helps you make a statement and claim that you indeed deserve to have all the money in this world. This wallet can also serve as a reminder for you to give importance to saving as much money as you possibly can. If you are a fan of any cartoon character, make sure to look into some of the possible cartoon wallet designs you can find. There are a lot of options at the moment and some of them come in your favorite superheroes and other favorite characters as well. 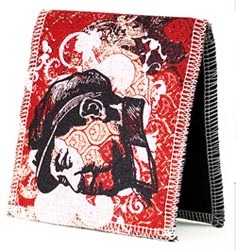 Remember, it’s actually very exciting to get a wallet of this design because it is reflective of your personality. Note though that this one can only be used during casual gatherings. 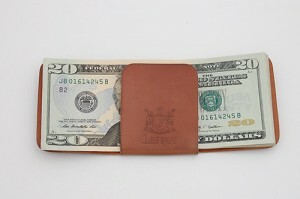 The seatbelt wallet is exciting and functional and there’s no doubt about that. But more than this, this wallet is also perfect if you are the type of person who patronizes the use of recycled materials. This one is made from recycled seatbelt materials making it reliable and sturdy and the wallet that you can probably use for the rest of your life. 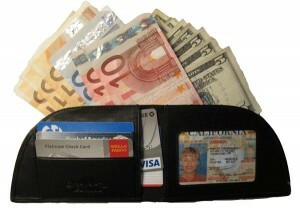 This kind of wallet is a top choice because it combines everything you can possibly ever need when it comes to wallets. First of all, this one has built in compartments you can use and even comes with a built in clip that you can use if you want to immediately and easily get the money that you need. Not to mention, this exciting wallet is made even more attractive by the fact that it comes in a range of wonderful colors you will definitely love. There’s something about fold wallets that never go out of style. This is primarily because this kind of wallet is simple yet super functional. Not to mention, it comes with a number of compartments and the most unique designs. You can buy just one that you can use for both casual and formal occasions without necessarily feeling as if you are out of place. If you are thinking of getting yourself a new wallet, this is probably the safest one that you can get.